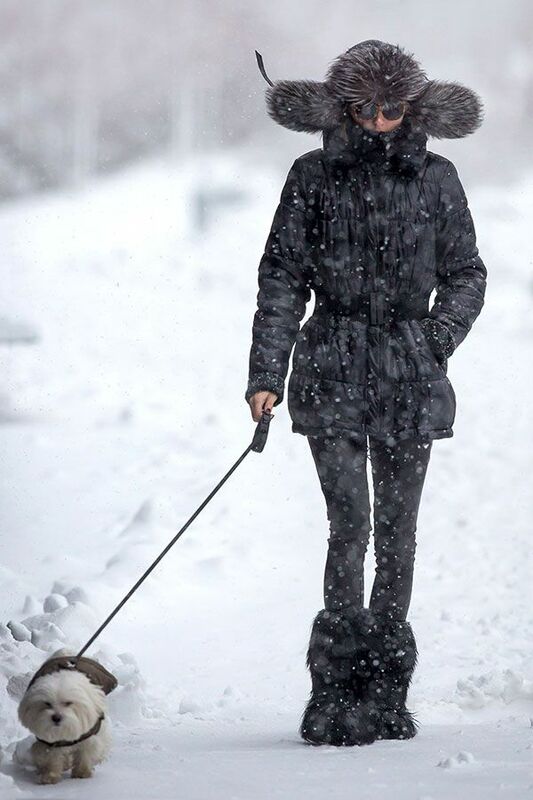 Olivia Palermo demonstrates flawless snow day style. 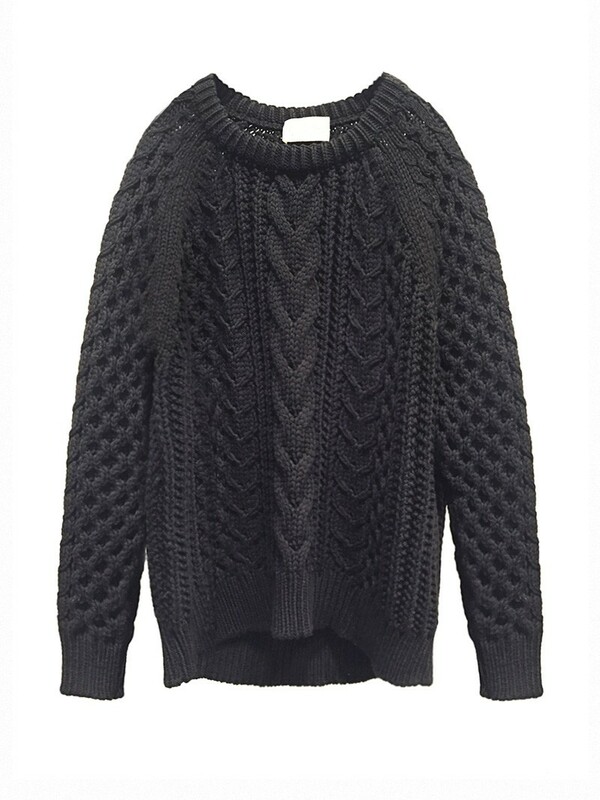 Start with the chunky sweater. They are protective, rugged, purposeful and there’s something so familiar and loyal about a chunky knit. The trick is to layer a tee-shirt underneath so if the fireplace at the chalet is a tad too aggressive, off comes the sweater to reveal a smart fitting tee. Thank goodness you didn’t ditch your skinny jeans because they are what you need right now. Nothing else tucks into a pairs of boots quite as well. Plus, the snug fit will remind you why it is you are doing that New Year cleanse. Skinny jeans and furry boots are a textural balanced win. R13s and Pajar “Scarlet” boots are my go to choices. Look for a waterproof or weatherproof, not water resistant boot. Water resistant will only resist light moisture. A waterproof boot will have fabric or leather that’s treated to prevent moisture from seeping in when walking through standing water. Weatherproof boots will protect you from the elements, but they are not 100% waterproof. If my sweater is chunky and my pants skinny, I find a big fluffy boot balances things out. I also like to play with textures, so if I’m doing all black, a furry boot paired with jeans and a shiny coat still adds contrast. Speaking of the coat…the golden rule of CYA (cover your assets…ahem) has never been more applicable. Ski jackets are great for the slopes but that’s when they are paired with ski pants. Nothing ruins a fun day of outdoor winter activity faster than a cold behind. It doesn’t have to hit the knees but at least cover that golden asset.